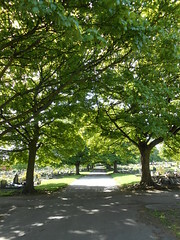 The ‘City Road’ cemetery in Sheffield is well maintained, the grass is cut, fallen stones are repositioned, and mature trees shade the pedestrian walkways through it’s extensive hillside grounds. It has separate Church of England, Nonconformist and Roman Catholic burial grounds. Originally known as the Sheffield Township Burial Ground or Intake Cemetery (City Road was formerly called Intake Road), it was renamed the City Road cemetery when it was taken over by Sheffield City Council in 1900. 1) the rapidly increasing population in Sheffield. 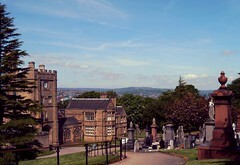 Soon after the cemetery opened Sheffield was granted a charter to become a city in 1893. This garden cemetery was commissioned and funded by the “Sheffield Township Burial Board”. 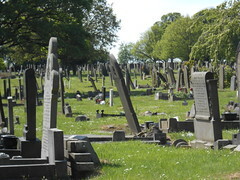 Their visits to Birmingham’s Whitton cemetery and Liverpool’s Anfield Cemetery probably influenced their decisions about the lay-out and running of the cemetery. In 1878 the land for the cemetery was purchased from the fifteenth Duke of Norfolk for £13,625. A requirement of the purchase was that a proportion of the ground would be allocated for Roman Catholic burial. This requirement suggests to me that Catholics in England still suffered from discrimination. That is, the Duke of Norfolk didn’t expect a burial ground to automatically include Catholics, he felt the need to specify that the should be included to avoid them being excluded. Local architects Messrs M E Hadfield and Son designed it to include Church of England and Nonconformist chapels. 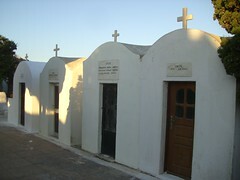 A catholic chapel was added in 1889. As-if the designers planned without including a Catholic area and had to retrospectively add it because of the purchase agreement. Recently we’ve considered telephone boxes and police boxes. These boxes are for another form of communication. Can you see the resemblance?